There's a forever home out there for each and every Companion animal; sometimes it just takes a little while to find it. That's where our foster parents come in. These compassionate animal lovers open their hearts and their homes to provide temporary shelter for our homeless cats and dogs. Through their kindness and generosity, we gain valuable time and the insight we need to place each dog and cat in the perfect, permanent home. Foster parents provide security, love, companionship and the nurturing home environment that all cats and dogs need to fully blossom. They play a key role in helping us evaluate a rescued animal's behavior, temperament and energy level. They help us gather important information like whether a dog is house trained, patient with children, aggressive or shy with cats and other dogs, or their food bowls and toys. The more we learn about a dog through foster care, the more successful we will be in creating the ideal match. The same key role applies with a cat. A foster family can tell us if the cats are shy or outgoing, friendly or aggressive with children, adults, other cats or dogs. Do they use the scratching post? Are they fussy eaters or do they eat anything and everything? Are they wanting to be with people or are they aloof? Having this information helps make an adoption a success. What's Involved In Foster Parenting? Most Companion Animals are healthy, well-adjusted and transition quickly and easily into a new, permanent family. However, some animals require a little extra care, ranging from post-op rehab to specific food and exercise regimens, or help to rebuild their confidence. Others may need time to develop better social skills with people or other animals. The average length of time a dog or cat is fostered is measured in weeks, but fostering can last anywhere from a few days to a few months. 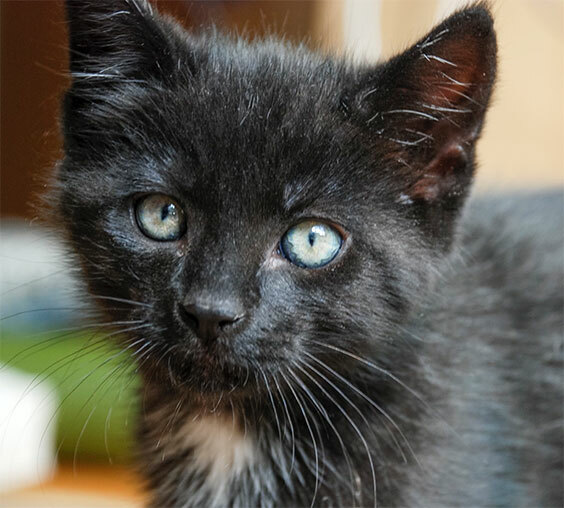 Fostering involves spending time with the animal every day, so it will be happy, well-adjusted, and have the best chance for success in its new home. Although we prefer that a dog or cat remain in one foster home until a permanent home is found, any amount of time that you give to fostering an animal is helpful and appreciated. Companions in Waiting will pay for spaying/neutering and any other required medical care. Foster parents are financially responsible for providing food and (in the case of cats) litter for the foster animal. In addition to attending to the animal's basic needs, foster parents must ensure that their foster dogs and cats are available to attend our Adoption Fairs. We occasionally show dogs and cats by private appointment in the foster home or at a local pet store, and ask for the foster parent's cooperation in this regard. Dogs in particular need daily exercise to remain healthy. You should discuss a potential foster animal's energy level with CIW to ensure you can meet their exercise needs. In addition, some dogs may need house training (either beginning, or a remedial course). Even house-trained animals may have accidents when moved into a new environment. Dogs with any type of behavior issue (such as puppy teething) may need training/reinforcement from the foster family. Behavior and training needs will be discussed before any foster placement. Other than food, water, and shelter, what a dog or cat needs most is your time and love. Potential foster parents should be aware that they will be temporarily sharing their lives with an animal to whom you may grow quite attached. A loving foster home that provides security gives these animals the best chance of a successful adoption and a happy life. Of course, foster families can and do become adoptive families too!